PC game streaming—the act of powering a game using your primary PC, but actually playing the game on another device, like a TV or laptop—has taken massive strides over the past couple of years, but the major game-streaming solutions all feature some fairly glaring limitations. Unless you’re willing to employ workarounds, Steam in-home streaming works only with Steam games, which isn’t very helpful if you want to play a game you’ve purchased on Origin, uPlay, GOG, or elsewhere. Plus, it’s locked to your home network. 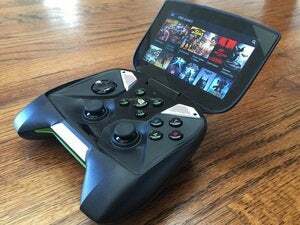 Nvidia’s GameStream feature only works when you have both a GeForce graphics card and an Nvidia Shield device. NZXT’s Doko and other console-like solutions beam your games only to that one specific piece of hardware. A German startup dubbed SevenRE wants to change all that with Stream What You Own—graphics card-agnostic streaming software that lets you play all of your full-blown PC games (as well as your music, movies, and other Windows programs) on your mobile devices, via the web on the Chrome and Firefox browsers, and even on the Raspberry Pi. It's a pretty exciting idea (which is a commentary on the current state of PC game-streaming in and of itself). But before we dive in, check out main developer Janis Zemitis playing Shadow of Mordor with Ultra-level graphic details on a Nexus 5 using SWYO. Why this matters: The major PC game-streaming solutions thus far all lock you into proprietary ecosystems. They work only with particular services or hardware. It’s a major bummer. On the other hand, remote desktop software like TeamViewer—which tends to be more open—isn’t built for GPU-intensive tasks and the low latency gamers demand. Theoretically, a solution like SWYO sidesteps the pitfalls of today’s services, letting you play any game you own on the device of your choice—if it ever sees the light of day, that is. Let’s be clear: SWYO isn’t available yet. There’s no beta version to try. I haven't tried it personally. Heck, SevenRE hasn’t even launched a planned crowdfunding campaign at this point. But the company has a working prototype, and the mere idea of SWYO’s flexibility is exciting in a game-streaming world dominated by walled gardens. SevenRE has been developing the technology for roughly a year and a half, after being inspired by an interactive remote rendering solution developed for a Fraunhofer ITWM university project, CEO Pratip Chakraborty told me via email. The software utilizes a Plex-like solution: You install server software on your PC, which then beams your games to SWYO client software, or via your browser. It works with Nvidia and AMD graphics hardware alike, Chakraborty says. “Due to the nature of the technology, separating video and interactions, the [available] bandwidth is the only limit for the user count,” says Chakraborty. Speaking of bandwidth, SWYO will require an Internet connection capable of 6Mbps or higher to stream at 1080p and 60 frames per second, though it uses an adaptive bitrate to compensate for network quality. SWYO also supports Bluetooth connections for controllers on client devices, so you’ll be able to connect your wireless controller or keyboard to your Nexus or Raspberry Pi and play using the gamepad. The working concept prototype SevenRE created using Open Broadcasting Software and MonaServer can also play games using the Logitech Rumblepad 2 connected via an OTG cable, with support for additional controllers planned. When it comes to remote PC game streaming, of course, reducing latency is everything. High latency means lag-tastic gaming, which means you’re having a poor gaming experience. 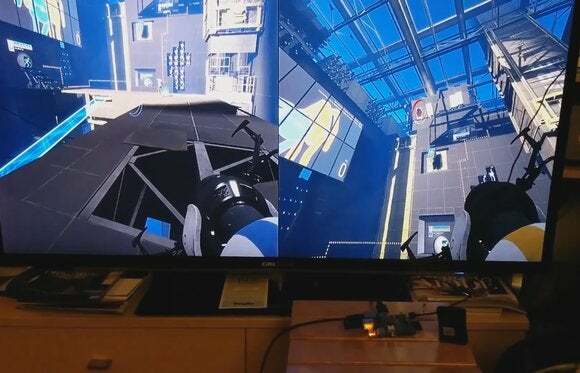 Streaming to the Raspberry Pi prototype currently results in 60 to 120 milliseconds of latency—ok for slower games like Civilization, but likely resulting in a more frustrating experience in “twitch” games like first-person shooters (though Assassin's Creed looks like it's handling OK in the video below). SevenRE focused on game streaming to the Raspberry Pi when talking to me, but plans to describe SWYO’s media/software streaming support and (as shown in the Assassin's Creed video above) its ability to stream PC games to your web browser—one of the truly killer features here, if you ask me—when it launches a crowdfunding campaign in the coming days. In the meantime, you can keep tabs on the project by following SWYO’s Facebook and Twitter accounts, or sign up to be notified when the beta launch occurs on the SWYO website.